You may want to consider if your question is in our frequently asked questions area. If you have any correspondence from us it may be easier for you to use the numbers provided on that, quoting any reference listed. Please be aware that your call may be recorded and monitored for security and training purposes. 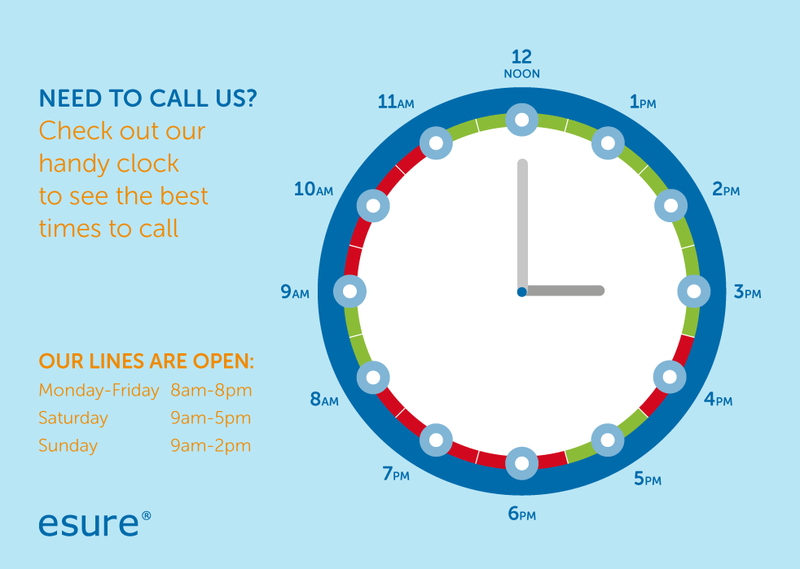 Our Call Centre lines (excluding Claims lines) are open: Mon – Fri 8am – 8pm, Sat 9am – 5pm, Sun 9am – 2pm. Please note our Claims lines are open: Mon – Fri 8am – 8pm, Sat 9am – 5pm and are closed on Sundays. 24-hour lines are open 7 days a week. If you provide your name, address, date of birth and policy number (if you have one), you can email your question about your car, home, pet or travel insurance quote or policy to [email protected]. We now accept Proof of No Claim Discount by email. If you'd like to send us your Proof of No Claim Discount, please email [email protected], providing your name, address, date of birth and policy number. If you've any questions about providing proof of your No Claim Discount, you can click here. If you’ve registered a Car Insurance claim with us, your dedicated claims team will give you the correct email address to get in touch with them. If you don’t have this you can email [email protected]. Please include your claim reference or policy number so we can pass your email to the right team. If you've registered a Home Insurance claim with us, you can get in touch by sending an email to [email protected]. Please include your claim reference or policy number so we can pass your email to the right team. For questions relating to the van and motorbike insurance comparison service you can email [email protected], for van queries, or [email protected], for motorbike queries. We're always interested in your opinions about our website, please use our website feedback form to send us suggestions for improvement. PLEASE NOTE: Any quote or policy related questions won't be answered via this form. Instead, please contact our Customer Service department on the relevant phone number or email address shown above, or take a look at our frequently asked questions. Please note that we cannot accept any responsibility for data lost or intercepted in transit. If you are a publisher and run a website, you can earn money for each visitor who successfully purchases a car or home insurance policy from us via your site. If you feel that esure have not provided the customer service you had expected, please visit the complaints management page, where we can put you in touch with the relevant people.